wTicker will aggregate information from the Internet and displaying them as headlines. Headlines can be built by information coming from newsfeeds, email accounts, stocks, scraped websites, usenet and others. 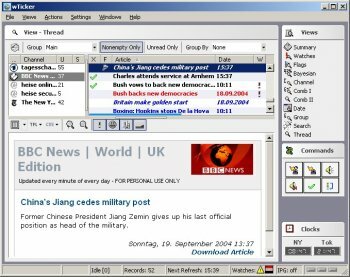 The headlines are displayed in tickers which may be positioned anywhere on the screen.